On Sunday, you caught Day 1 of our 3-day road trip with Garden & Gun Magazine and the great state of South Carolina. It was filled with some of Greenville’s tastiest of bites and a magical night’s stay at Hotel Domestique. And while Day 1 was one for the books, as the sun rose in Traveler’s Rest we knew we had to keep movin’, so fueled by coffee and pancakes, the crew pressed onward. 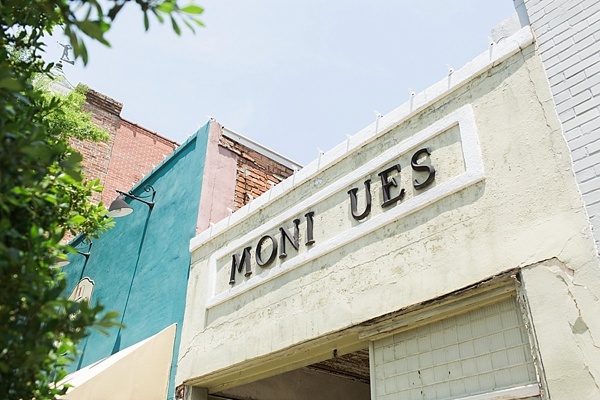 We took a quick pit-stop in Camden to do a little antiquing and after scoring a few favorite records and a trinket or two, we got back on the road and continued to the tranquil shores of Pawleys Island, America’s oldest seaside community. In true low country fashion, Pawleys’ sleepy marshes and cypress-sided cottages proved to be just as endearing as imagined, and we were eager to settle in for a relaxed evening at the Pelican Inn. Pelican Inn, just 7o miles north of Charleston, turned out to be the most charming beachfront bed & breakfast. Being built in the 1840’s, it’s one of the several original houses remaining on the island and its relaxed charm was undeniable. Nestled behind the island’s highest dunes and tucked beside mossy sprawling oak trees, the Inn is one of those places that reminds its guests to turn your iphone on silent, slow down and simply unwind. The idyllic porch hammocks, private dock stretching over the salt marsh, well-loved rocking chairs and eclectic antiques beckoned us into a world of endless summer. After touring our new digs, we hopped into the car to venture around Pawleys Island and grab a bite to eat. A torrential rain shower had other plans, and we found ourselves running into Pawleys Island Tavern for frozen cocktails and oysters, because sometimes you just really need a good dive bar and a pina colada to round out a day on the road. You certainly were be quested in a dream assignment on this one! Lucky dawg! Great pictures of the Pelican Inn and Pawleys!